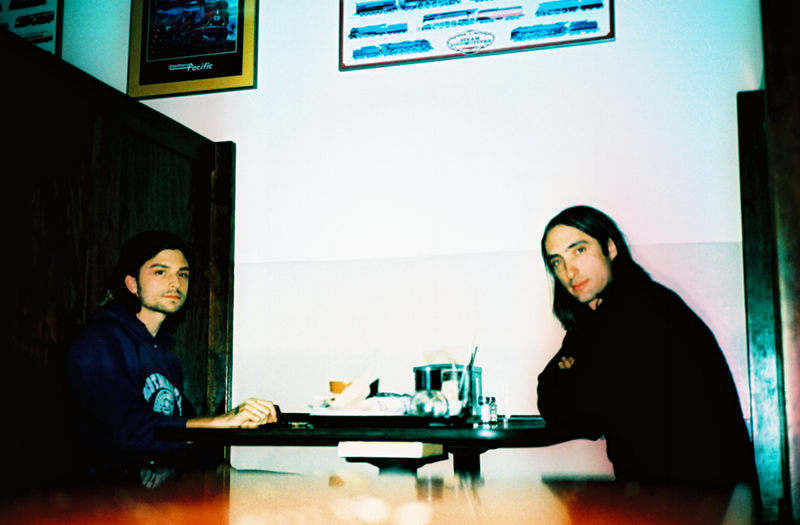 Today LA duo Golden Daze shares “Took A Fall,” the second single and video from their forthcoming sophomore LP, Simpatico, via Ones To Watch. The band takes a look inward on this song and explores their own complex friendship / brotherhood. 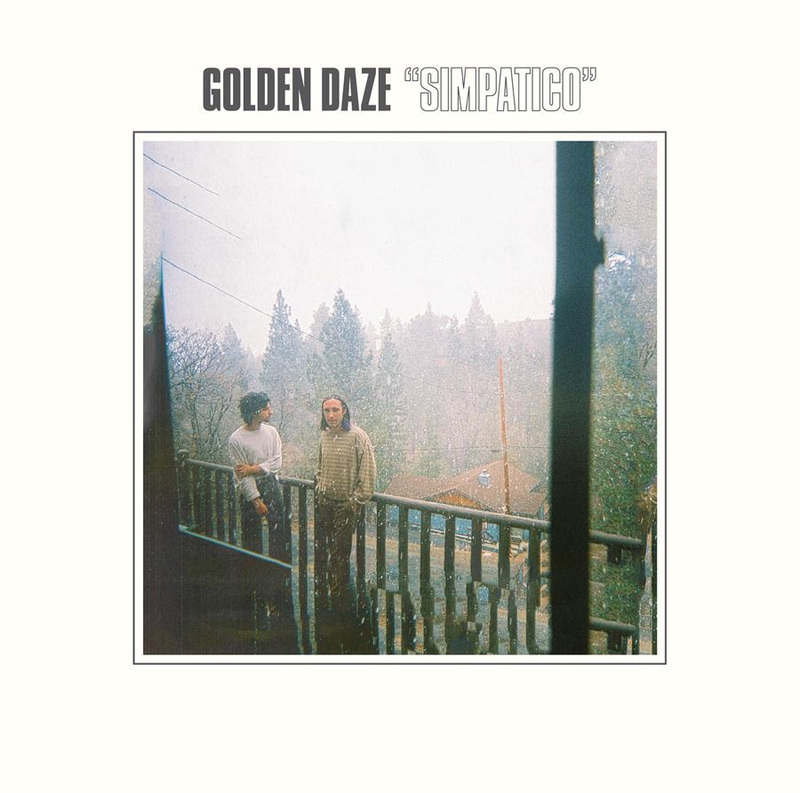 The most transcendent moment of Simpatico, the sophomore album from Golden Daze, arrives in the final, wordless minutes of the album’s nearly hour-long duration, the sonic equivalent of storm clouds clearing to reveal a shimmering, amber-hued sky. That the record—a chronicle of platonic heartbreak and artistic unmooring—understands this kind of resplendent catharsis as both its final breath and ultimate rebirth is a testament to the delicate, intricate emotionality of the proceeding 35 minutes. As the album begins we hear dual singer-songwriters Jacob Loeb and Ben Schwab chanting the album’s opening line (“maybe I should stick around”) in a unison so finely tuned it becomes impossible to differentiate their voices. “Blue Bell”, this initial, inviting track, merges their separate identities so as to initiate the listener into their shared landscape–the troubled, hopeful world of Simpatico. Over a pair of softly hypnotic, interlocking guitars, the singers deliver their sentiment with a fervored, unbridled yearning, equal parts hopeful realization and admission of guilt. Loeb and Schwab formed Golden Daze (originally Golden Days) in 2013 following a collision of friendship and shared musical sensibilities that spanned Portland, Los Angeles and their overlapping Midwestern roots. Originally conceived with an acoustic styling, their self-titled debut emerged as something more lo-fi, characterized by washes of electric guitar and drones. Following US-tours alongside artists like Woods, Whitney and Twin Peaks, small glimmers of Simpatico began to emerge. With resonances of their earliest acoustic textures, the growing momentum of the second record asserted a new reality–the brotherhood at the heart of Golden Daze’s very existence was no longer just the conduit for the music but also the subject of its appeal. Glimpses into this complex duality permeate throughout Simpatico’s eleven tracks, sung entirely in unison and recorded in Big Bear, California, when the duo was already well into the slow unraveling of the friendship at the heart of their artistic collaboration. “Took A Fall” delivers its grief with a kind of reluctant, upbeat syncopation while “Lynyrd Bassman” places the individual experience of loss within a larger context of new adulthood, that surreal, subtle high of becoming more and more oneself. Over musical backdrops ranging from dreamy folk to 70s-inspired balladry, Loeb and Schwab populate their finely-crafted pop songs with bold admissions of love, shame, doubt and gratitude. At the heart of the record’s sonic identity is a conversation between friends, between artistic collaborators, and yet also between artist and audience. Simpatico speaks to something deeply personal but it does so with the insistence that we, the listener, are a kind of witness. From its first tentative offer to “stick around”, Simpatico is a journey of discovery, of forgiveness, of surrender, one that culminates in the quiet, self-assured farewell of its final track: I’ll still be around my friend.